In a multi-channel world, many marketing projects can be quite complex. For a mission critical initiative you may require a senior project manager or an experienced coach to help your project manager deliver a successful outcome. Tom Quinn brings a range of experiences and proven track record, that may fit your needs. Project success is maximized with a manager who brings effective leadership, relevant experience, planning ability and people skills. This includes includes clear communications and team-building ability. Tom is comfortable either leading a project or serving as a coach. 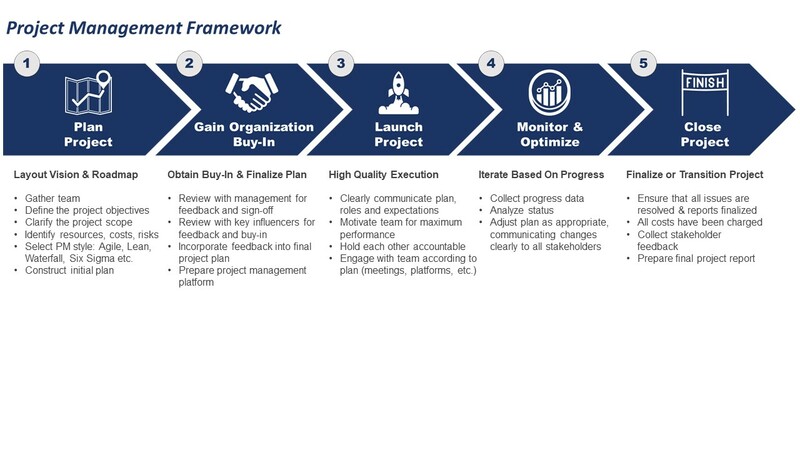 Below is our high level project management framework. We are flexible and adjust based on client needs.